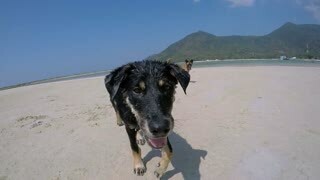 Street Dog Walking on Camera on Beach. Slow Motion. 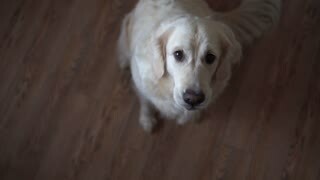 Dogs are looking at their masters. 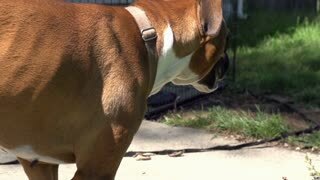 Two dogs are walking and looking at their masters, slow-motion.